The harsh weather season always seems to be lurking just around the corner. Even if you don’t live in an area with inclement weather, taking inventory of your home and inspecting it for problem areas is an important aspect of being a homeowner. For some people, home inspection may be an annual ritual, but not everybody was born with the inner contractor that some people have inside. If you could put the ‘pro’ in ‘procrastination,’ you might want to pay attention to these simple measures that don’t take much effort, yet could save you thousands of dollars in repairs. 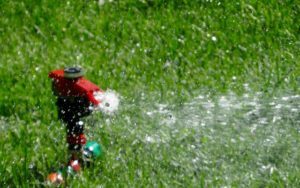 As it gets closer to the colder seasons, you’ll want to remove garden hoses from the outside spigots. If you leave the hoses attached, it could cause water to back up into the plumbing and get stuck there. This isn’t an issue if you live in a region that never reaches freezing temperatures. However, if you do, the water that gets stuck there could freeze and crack the pipes or faucet, causing hefty damage to your plumbing. Simply storing the hoses neatly in your garage and turning off any shutoff valves on water supply lines that are directed to any outside faucets will protect you against any potential hazards to your home. According to the Consumer Reports magazine, between 2006 and 2008, more than 150,000 residential fires occurred, which resulted in the 3,670 injuries, 150 deaths and $547 million in property damage. Nearly half of these fires were caused by faulty appliances; most of which had been recalled for defects that can create fire hazards in the home, however, the homeowner wasn’t aware. Write down the model and serial number of each appliance you own and check them at www.recalls.gov to see if any of them have been recalled. If they have, the website will show you what action needs to be taken, if any at all from your end. This knowledge comes at absolutely no cost to you except your time and possibly the safety of your home. You can check the homeowner’s insurance calculator for quick insights on how much it will cost to protect your home from fire damage. Take a quick little trip around your home’s interior and exterior (check the siding, around window and door frames- everywhere) and check for cracks or splits in the walls. If you notice your house has quite a few of them, get down to your local hardware store and grab a couple tubes of matching color caulk. Take that same little trip around your house and seal up all the little nooks and crannies that are forming and stop them from getting worse. Sealing up these cracks will prevent moisture getting inside of your walls creating the environment for mold to grow and thrive which, needless to say, can cause all sorts of problems. None of these helpful preventative measures will take you longer than an hour or two (unless of course there are lines at your local hardware store) yet can save you thousands of dollars and the headache of having to locate someone who can do the job for you. Do you take any preventative measures to protect your home?